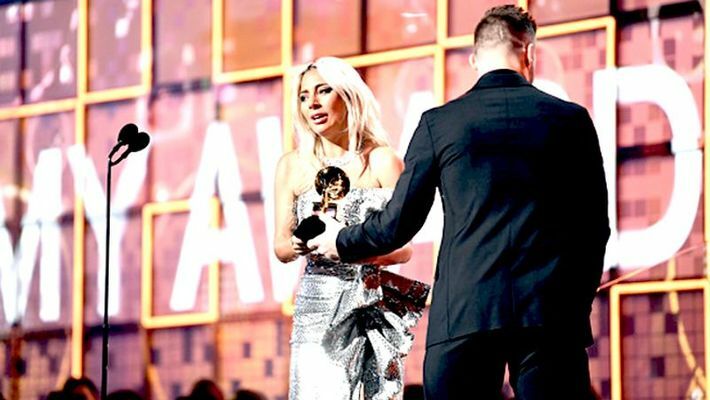 The 32-year-old star, Lady Gaga was even more emotional about her Grammys, which she said brought her to tears. Expressing her excitement, Gaga took to Twitter and wrote, "I can't believe we just won Best Original Music @BAFTA 's . I wish so much I was there but am at the Grammy's to show them our love as well. We made a film about music. This means the world to me. Thank u to all our fans we love u so much, we wouldn't be here without u #BAFTAs." The 32-year-old star was even more emotional about her Grammys, which she said brought her to tears. "I'm not gonna be able to wear any makeup tonight. We just won our first of Grammy nominations for the night. I'm in tears with honour and gratitude. Thank you @RecordingAcad #Grammys #Grammy and my co-writers and Bradley I love you so much thank you," she wrote in a tweet. "A Grammy for Joanne is more than me & my family could ever dream of. I sang that version in one take, & poured my entire life & soul into it. Thank you so much for this gift I am completely shocked. 2nd Grammy win of the night I am so overwhelmed by this kindness. #grammys," she tweeted.